Dr. Campbell and his team focus on each patient, providing you with a positive experience. 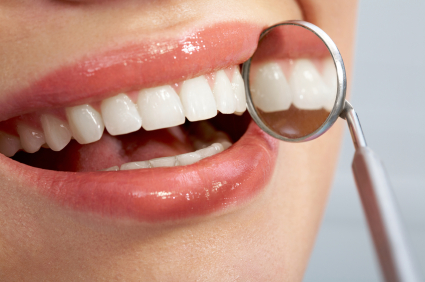 Even with all of today’s advanced dental treatment services, sometimes tooth loss still must be considered. Whether for reasons of disease, trauma, or even pre-orthodontic treatment; Dr. Campbell and staff strive to make tooth extraction as low stress as possible. Dr. Campbell’s years of surgical experience include residency training at Chillicothe VA Hospital as well as 25 years of private practice. Dr. Campbell feels that removing a tooth should only be done as a last resort, but enjoys the “wow” factor that most patients experience when their treatment went so smoothly. This is only half the story however. Today more than ever, people want options for replacing their missing teeth. Traditionally these options fell into two categories: Removable, such as partial or full dentures, or Non-Removable crown and bridgework. Now with the advent of implant technology, tooth replacement as well as denture support can be done in ways that last longer and feel and look more natural.